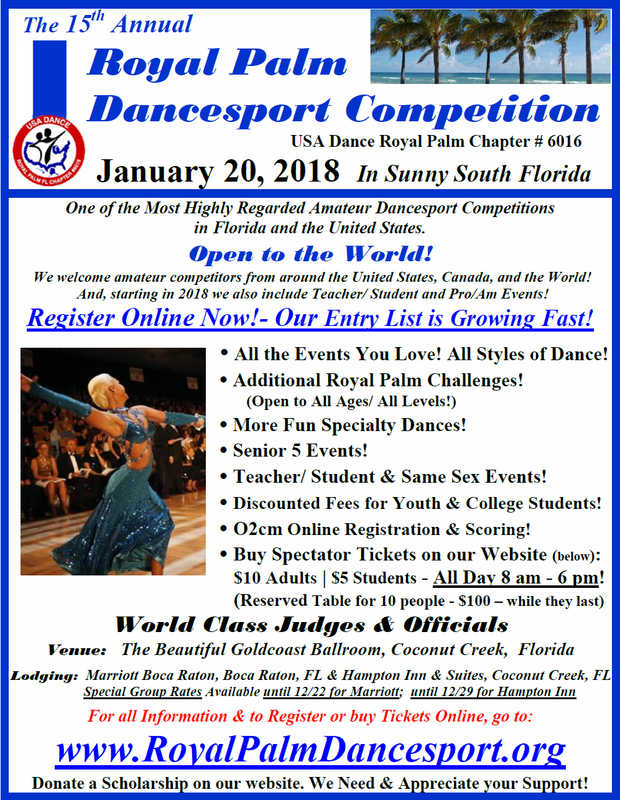 Purchase Spectator Tickets at the Door – January 20, 2018!! Online Registration & Ticket Purchase Now Closed. Click Here to Print the above Flyer (as a PDF Document). Saturday Evening, January 20 – 7:30 pm – 11:00 pm! !